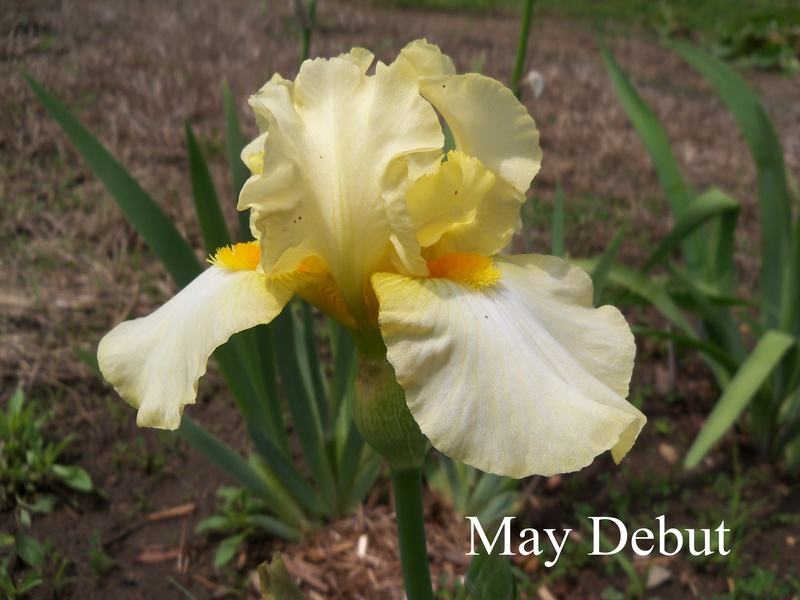 From the Can-West Iris Society website: The 2013 show date is set for Sunday, June 9th at Bourkevale Community Centre, 100 Ferry Road, Winnipeg MB. Stay tuned for further information! The Fall Regional Meeting is scheduled for August 9th and 10th, 2013. It will be in Omaha, Nebraska hosted by the Greater Omaha Iris Society. Further details to follow. One way irisarians in Region 21 can communicate with each other is the region21-iris discussion group at Yahoo! This has been bringing iris lovers together since 2001! To read the messages and contribute your own, you need to join the group. Just click on the Join This Group! button and follow the instructions. I believe this means creating a free Yahoo! account if you do not have one. This is the not limited to members of the American Iris Society. If you are not a member of AIS or Region 21, you are still very welcome to join in the conversation. Of course, we welcome you to join AIS and, if you live in N. Dakota, S. Dakota, Nebraska or Iowa, and now NWT, Nunavut, Alberta, Saskatchewan and Manitoba, automatically become a member of AIS Region 21. Hope to hear from you at region21-iris! This year’s Spring Regional Meeting is scheduled for May 17th and 18th, 2013. It will be in Sioux City, Iowa hosted by the Siouxland Iris Society. Further details to follow. The Iris Encyclopedia is a great source for learning more about specific irises you already have or know you are interested in. It currently has, as of December 26, 52,663 cultivars and 36,348 images. This represents 75% of the registered iris cultivars. You can also use the Iris Encyclopedia to find irises of interest you don’t yet know about! One approach is to look at the award winning irises. 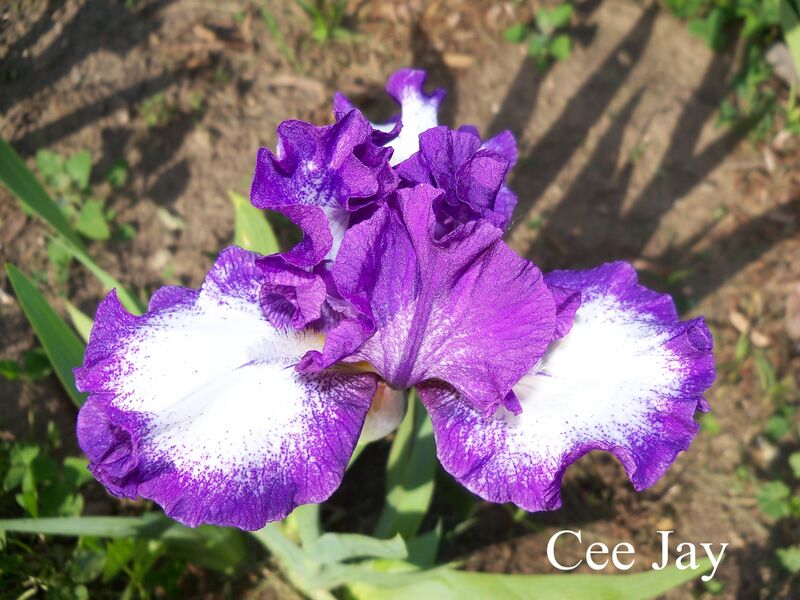 The Iris Encyclopedia has an Awards page that lists the various Medals and Cups that irises can win. Most of the major American Medals on this page already direct you to pages with pictures of the irises that have won that Medal. For example, the American Dykes Medal shows all the winners from its inception in 1927 to the present. The Awards page also has links to winners, and runners up, by year. The Awards 2011 page shows or lists these for the most recent year. A reminder – all of the Iris Encyclopedia is a work in progress. For some of these pages, the iris names are not yet linked. You can help by registering so you can add such links. Also, your observations on specific irises performance can help improve the Iris Encyclopedia. Our regional meetings are great events to learn more about irises and meet other enthusiastic iris lovers. They can also be a source of beautiful irises. And the irisarians are also great for sharing their expertise and experience. At the 2011 Region 21 meeting, my wife was looking for some irises at the sale. One of the other attendees suggest everyone should have a ‘Wabash’ in their garden. So this was one of the irises she chose and we planted that summer. In 2012 we learned how good the recommendation was! ‘Wabash’ bloomed and it was a brilliant amoena. Thank you Unknown Irisarian for your great suggestion! Since then I’ve learned more about ‘Wabash’ from the Iris Encyclopedia. It was the American Dykes Medal Winner in 1940. There also can be confusion between it and ‘Bright Hour’, a hybrid from ‘Extravaganza’ and ‘Wabash’. The real ‘Wabash’ has purple based foliage, while ‘Bright Hour’ does not, a distinction I was not aware of when looking at the iris. From the purple near the bloom in this picture, I suspect this is the real ‘Wabash’. In any case, you can be sure I will be looking closely at the foliage as well this year! You can learn more about it here and here and see more pictures here. 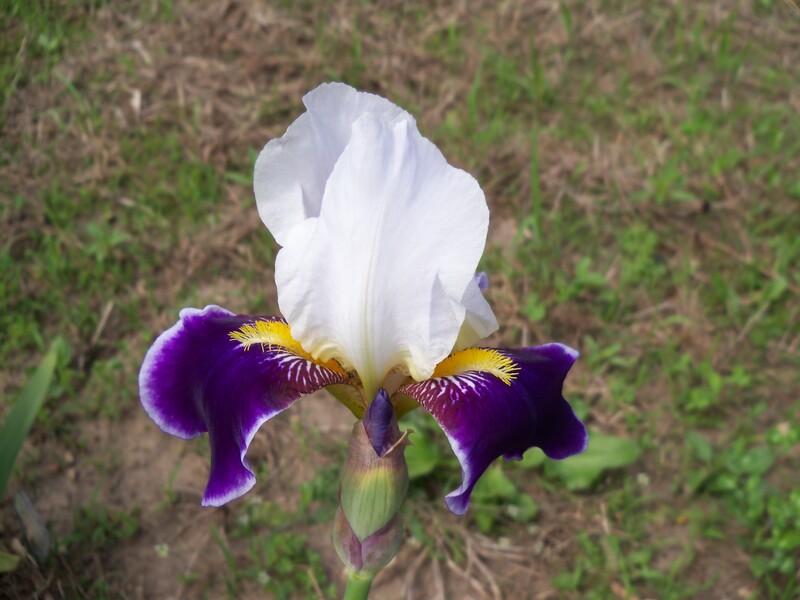 The American Iris Society has several types of websites with great information on irises! I’m aware of four that you should check. The main website for learning about The American Iris Society has the Society information and links to the other parts. Whether you are a new iris lover, a potential member, a new member, or a long-time member, this can direct you to helpful information. The Iris Encyclopedia is a work in progress that you can help with! The largest portion will have all the irises registered by AIS. Right now it has 75% entered, the majority with one or more photos. Other topics include iris people, iris shows, awards, and cultivation. It is a wiki that you can edit (think Wikipedia) and add your observations to. The World of Iris is a blog covering iris topics. Several authors cover iris news and people, both recent and historic, with lots of great pictures. There is also a Facebook page for The American Iris Society. It has pointers to some of the items on the other sites as well as iris pictures to enjoy. Facebook members can also add their comments. This time of year, when, at least in Region 21, we are unable to garden, is a great time to check these out.